In January 2018, the Scandinavian Human Rights Lawyers submitted a complaint to the UN Committee against Torture, which immediately, through interim measures, stopped the expulsion (A.M. v. Sweden, ref. 859/2018). After a while, the expulsion decision was statute-barred in Sweden and the case was therefore referred back to Sweden by the Committee because there was no longer any risk of expulsion. The Swedish authorities then re-examined Abdul’s activities, both as a convert and as a politically active human rights activist, and a lawyer from the Scandinavian Human Rights Lawyers was appointed as a public counsel. In early February 2019, the Migration Board decided to grant Abdul a residence permit and refugee status. The Migration Board found that there was a risk for ill-treatment and that Abdul had shown that he was politically active still in Sweden and that he had been a Christian for a long time. ”It gives us great satisfaction that the Migration Board has now decided to grant our client a residence permit and refugee status. Taking into account the extensive evidence that has existed and which strengthens the client’s conversion and political views, it is a reasonable and well-founded decision. However, it is worrying that it took so long and required such extensive work, including a complaint to the UN Committee Against Torture, before the Migration authorities came to this decision, ” says Rebecca Ahlstrand, lawyer and public counsel of the client, Scandinavian Human Rights Lawyers. ”The case is of principle importance and shows how difficult it is for converts to show that they have a genuine conviction. During the client’s interviews in his first basic process, deficient questions were posed and it is obvious that greater expertise had been needed within the authorities. The new examination in Sweden in 2018, after the complaint to the UN, held a higher quality. 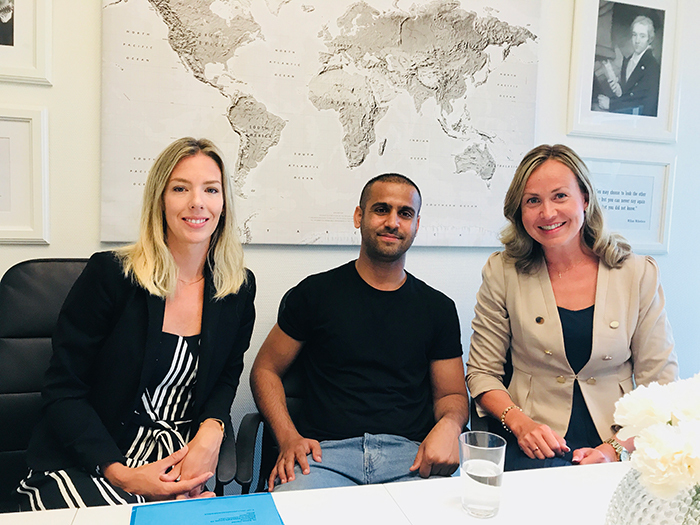 Our hope is that similar cases will be examined with objectivity and legal certainty in the migration process, ” says Rebecca Ahlstrand, lawyer and public counsel of the client, Scandinavian Human Rights Lawyers. ”It is of the utmost importance that questions to converts meet the requirements which are necessary when it comes to objectivity and legal certainty and that the Migration Board makes an overall assessment of all circumstances, for example the total time that a person has been a Christian. This is not always done, but in the present case some consideration seems to have been taken to this circumstance, which is satisfying, ” says Ruth Nordström, Chief Legal Counsel of Scandinavian Human Rights Lawyers.